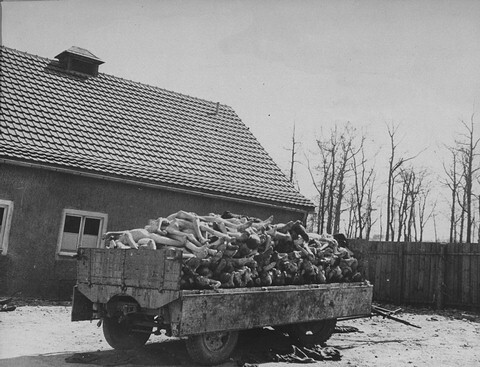 A wagon is piled high with the bodies of victims of the Buchenwald concentration camp. Photograph taken following the liberation of the camp. Buchenwald, Germany, April 16, 1945.